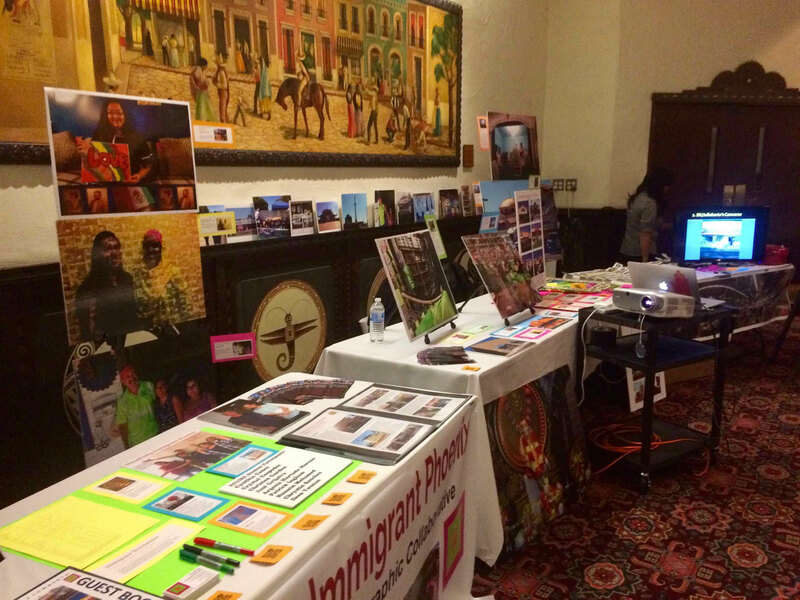 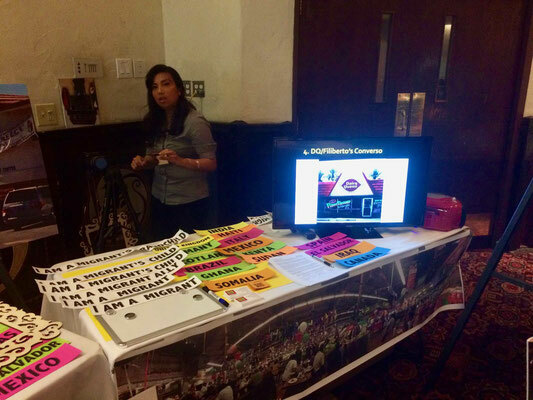 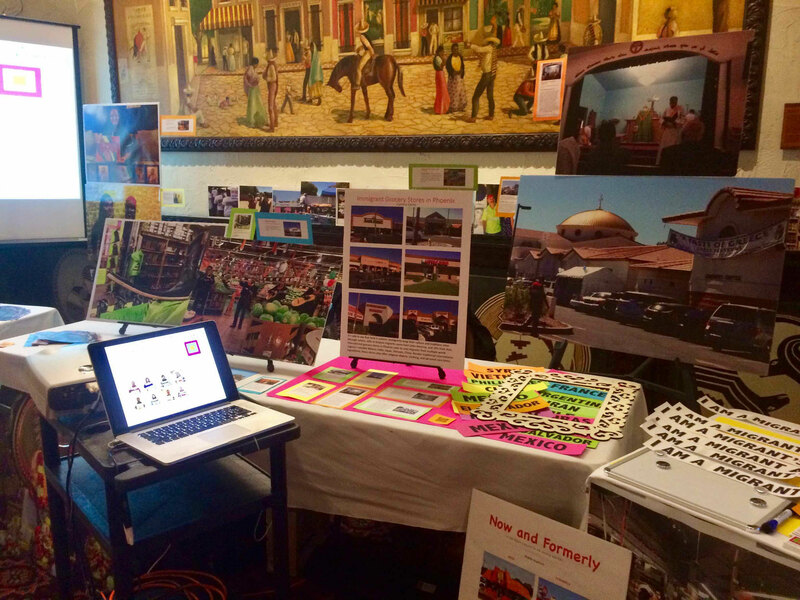 Visualizing Immigrant Phoenix presented its first exhibition at the Society for Applied Anthropology annual conference in Santa Fe, New Mexico. 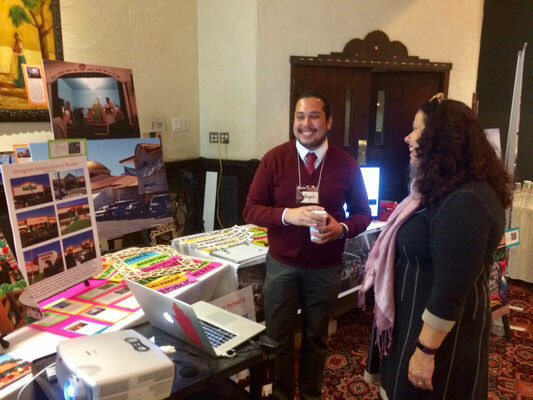 We all planned the exhibit together, and then Dr K and three of the student researchers (Argenis Hurtado Moreno, Crystal Cespedes, Cynthia Canez) traveled to Santa Fe to present the exhibit for a day and a half, March 30-31, 2017. It was exciting and gratifying that visitors loved the exhibit. 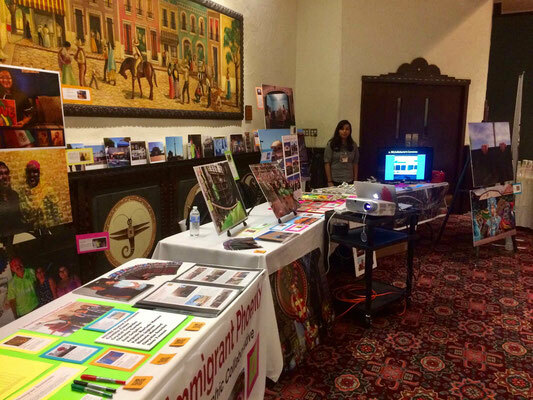 They especially admired that ASU undergraduates did the lion's share of the research, story writing, and visualization of this important topic. 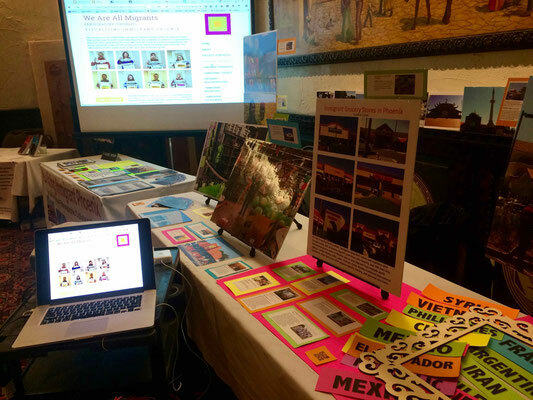 77 people, including many illustrious anthropologists, agreed to honor their migrant legacy or ally-ship by joining our We Are All Migrants Participatory Portrait page. Thank you all! 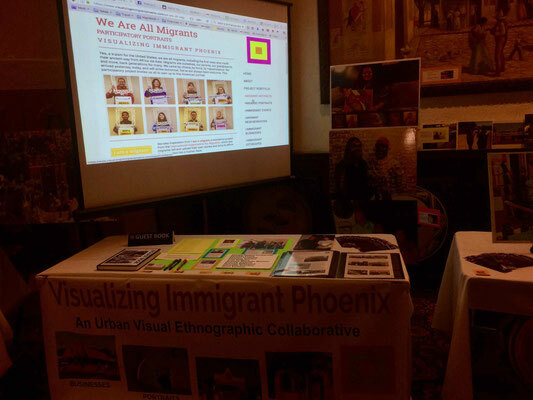 At a time of seemingly purposeful instability in national immigration policy and enforcement, when immigrants are increasingly demonized, criminalized, and denied due process, this project accords due importance to visualizing the everyday specificity of immigration in the US/Mexico border region. 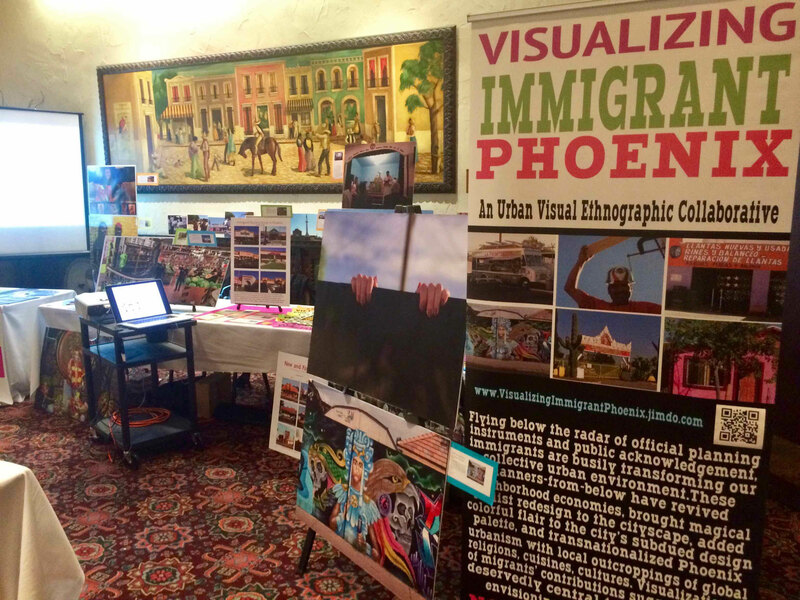 But it also demonstrates that “the border” as conventionally construed is a red herring; as visitors exclaimed at our exhibit in Santa Fe, the photos enable viewers throughout the US to readily recognize that the border has crossed their cities too.